If you’re in the market for a new home, part of choosing the perfect Loft is finding the right neighborhood. How do you do that? Start by asking yourself the right questions. Any Loft search should start with a list of needs and wants – and that goes for the neighborhood, too. Begin by establishing your priorities. Do you want to live close to amenities, like markets or gas stations? Do you want to have easy access to culture and nightlife? Is access to public transportation a necessity? Would you like to live in a community with other families who have small children, or maybe you’d like to be surrounded by other retirees? Be clear about what you need and what you’re willing to compromise on before you even begin your search. How convenient is the neighborhood? Once you’ve established your priorities and begin to look at potential homes, consider how convenient the neighborhood is for your life. Is the home close to your work, or will you have a long commute? If you need to run some quick errands, are there stores nearby? How far will your kids need to travel to get to school? Is the home located near family, or will visiting require a special trip? 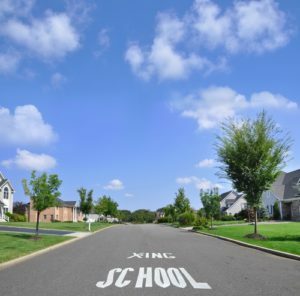 If you have school age children or are thinking about starting a family, obviously the quality of schools in the neighborhood is a major consideration. But schools don’t just affect those with kids. Lofts in neighborhoods with good schools tend to have more value and hold on to their value for longer periods of time. What are the additional expenses associated with this neighborhood? Don’t just focus on the cost of the Loft when you’re thinking about buying, you also need to consider any other expenses or fees that may be associated with that community.How much are the HOA’s? What are the property taxes on the loft going to be? Are there any future developments planned for this community that could conceivably raise taxes in your area? Safety is a big priority for many homeowners, so it’s a good idea to check into crime rates for a potential neighborhood and see how they compare to the national average. Also consider the types of crimes most common in the area. If you have specific questions about a neighborhood, call the local police station for more information. At first glance a neighborhood may seem like a great choice. But take a closer look. Are there a large number of lofts for sale? Are there any foreclosed properties in the area? Have many of the lofts turned into rentals? Are there any sounds that could become unpleasant, like traffic noise, loud music or airports? Do you notice any unusual smells that could affect your quality of life? Visit the property at different times of day. Is traffic a nightmare during rush hour? Is the street particularly dark at night? Considering the type of neighborhood you’d like to live in is just as important as choosing your loft. Take time to prioritize your needs, and do the necessary work to investigate potential neighborhoods to find out as much about them as possible before putting in an offer.